In my case, becoming a veterinary surgeon was a 'written in the stars' type of destiny. Helping my grandfather to look after animals on his farm during school holidays was my first real experience with animals and I think the 'veterinary seed' was planted then and is still growing strongly now. Soon after graduation from Warsaw University in 2005, I gained my first experience in working in a small animal and exotics veterinary practice in Warsaw itself. Not long after, I decided to pursue my dream of working in the veterinary profession in the UK. I strongly believed that moving to the United Kingdom would help me develop my professional skills, learn and gain valuable practical experience and theoretical knowledge. Ready to take on the challenge and willing to put in many long hours to learn and observe, I started practicing in the UK in 2007. 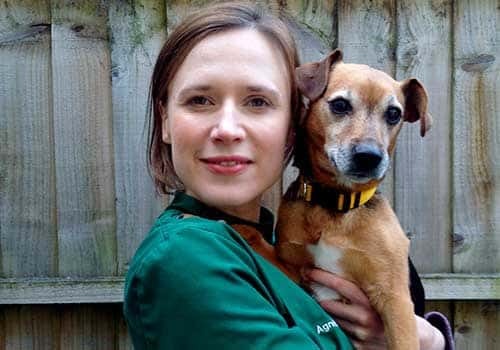 I joined Fairfield Veterinary Centre in April the same year and from the start I knew this was the place for me. Under the watchful eye of Terry, I started my journey of becoming the best veterinary surgeon I could possibly be. After a countless number of long days and nights, helping patients and happy owners, I can say that my dream has come true. Fairfield has always been a place where I could follow my beliefs, ideals and dreams and most importantly enjoy it. At Fairfield, I have had the opportunity to progress in the field of my special interest which is surgery (all areas of soft tissue and orthopaedics ) and I will consider working towards a post graduate qualification in this field in the future. The other area of veterinary medicine close to my heart is small mammals medicine (rabbits, guinea pigs, rats). As far as I am concerned, 'a hutch is not enough' for our small furry friends, they deserve better. The practice ethos of, 'You won't care how much we know, until you know how much we care,' reminds me of the reasons why I decided to become a vet in the first place and I follow it every day. I am a very proud owner of Freddie, an 8 year old, mischievous, Jack Russell Terrier and a very independent 3 year old cat Frank. They are both rescue pets and great everyday companions, always ready to give their love. When I am not working I try to spend as much time as possible outdoors. Gardening, running and cycling are amongst my favourite activities. I also like to meditate and practice yoga.